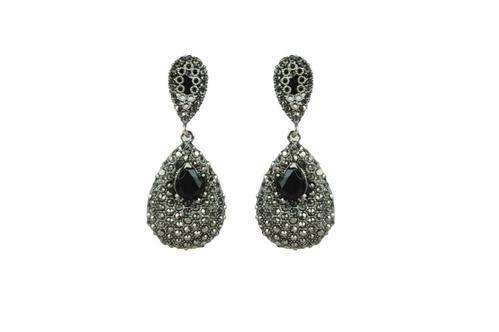 The elegant looking black plated earring be-you jewellery is into the latest trend & the perfect add on to a women wardrobe. Made out of metals & alloys gives the piece an anti - allergic quality Which suits every skin.The finishing & design of this earring is such to give it's a real look. slight variation of color may occur in photographs then the actual product due to studio photographic lightings.